A year ago, I was posted to the Capital and my existence was packed neatly into just 3 bags. When I was posted back to HQ, it was the same 3 bags. 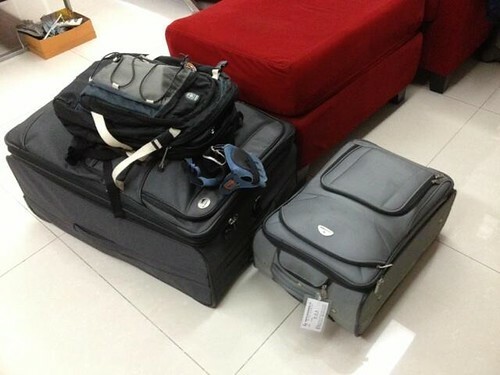 This time round, the posting order sends me to Shanghai and again, it's the same 3 bags. So this post shall kick off the new Shanghai series where I will continue to blog what I see, hear, smell, learn here. Shanghai is also known as 沪 where I hereby shall call it Da Hu. JY: just a word play with "da 'hood".